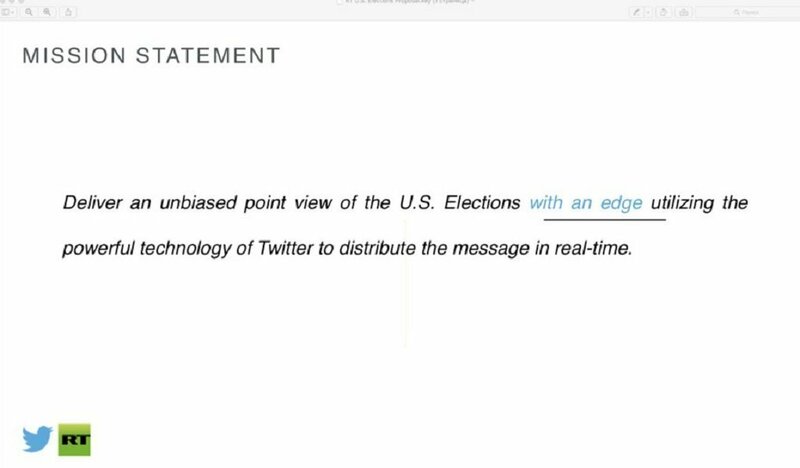 In response to Twitter's claims that it suspended RT and Sputnik from advertising on its platform due to the news outlets' attempts to meddle in the 2016 US presidential race, the broadcaster has released Twitter's complete pitch for a massive ad buy ahead of the election. Check out what Twitter offered RT. The social media giant announced its RT and Sputnik ad ban Thursday. In response, RT revealed that that Twitter had attempted to sell the broadcaster a major ad buy, which RT wound up turning down. 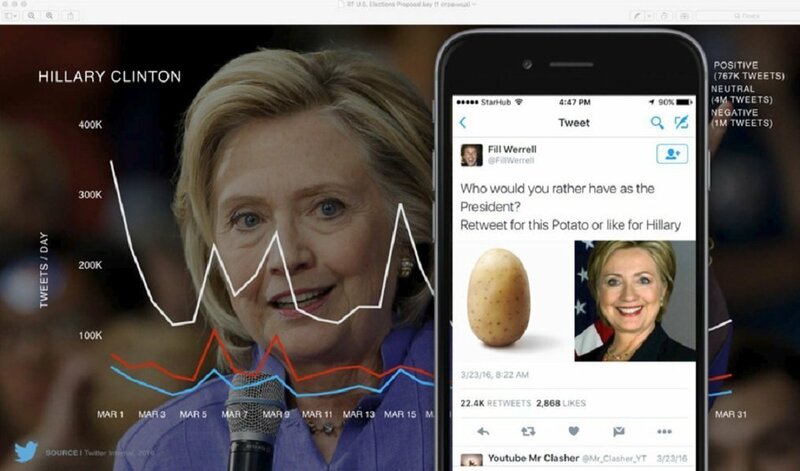 Twitter had offered RT custom graphics, analytics and research tools, and even a "dedicated team" of experts to help the network "curate content and provide strategic and tactical support during the U.S. Elections." 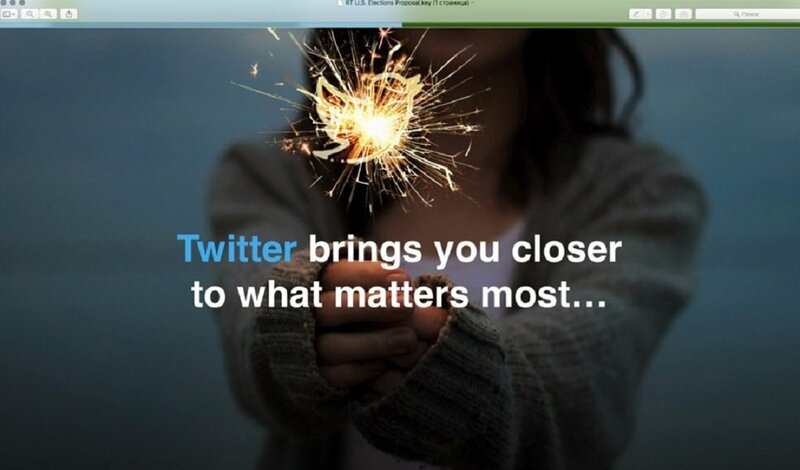 Intro slide to Twitter's custom presentation to RT. 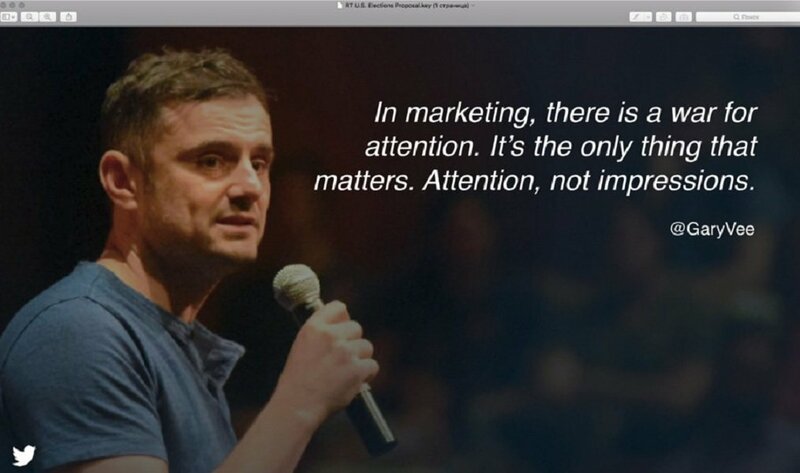 Slide 2, featuring an inspirational quote from Russian-American entrepreneur Gary Vaynerchuk. 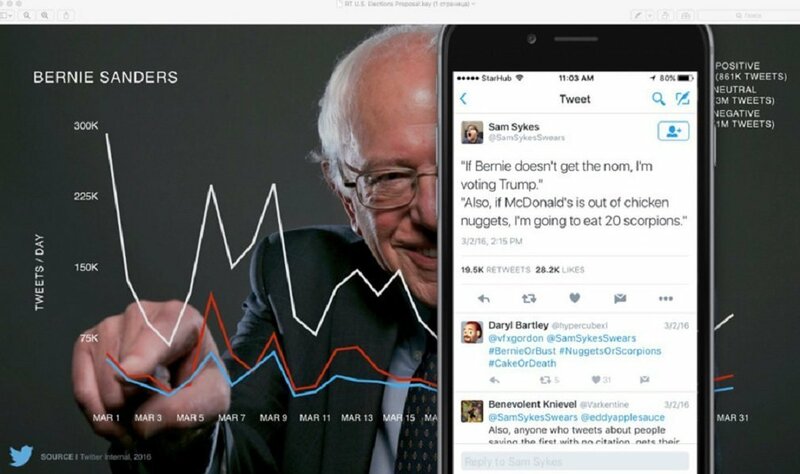 Slide 3, explaining political users' activity on Twitter. 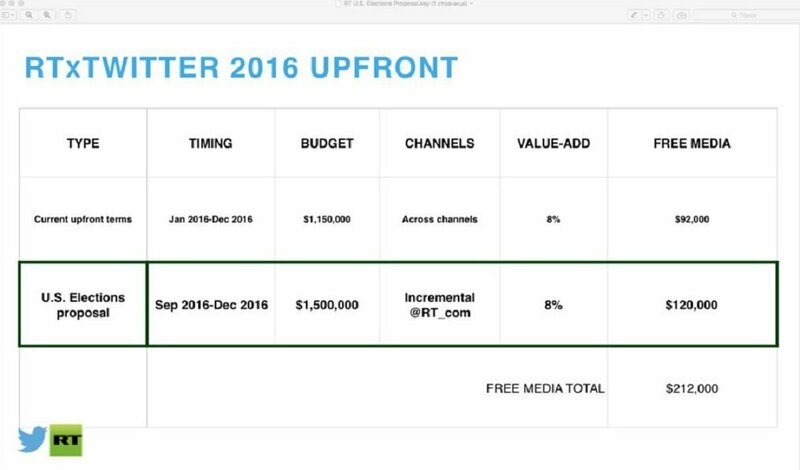 Slide 9, proposing an upfront $1.5 million US elections budget between September and December 2016, with Twitter offering to throw in $120,000 in free media. Slide 11. 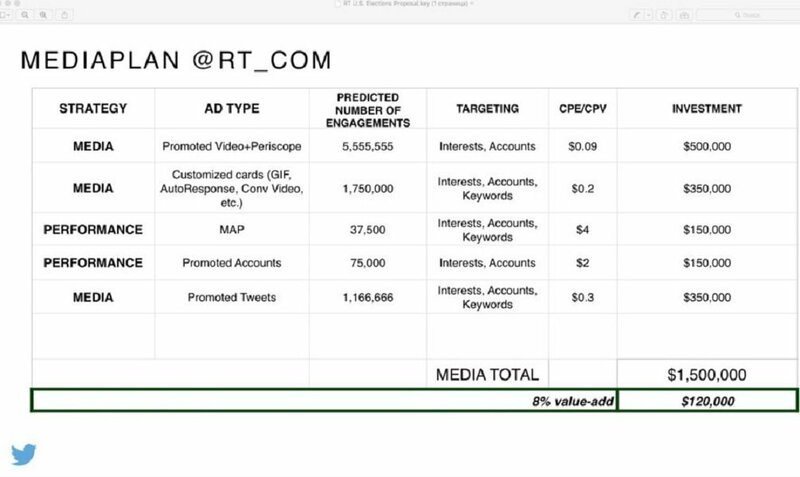 Twitter's offer for an additional $1.8 million in PROMO, Emoji, First View & PTr reach and branding technology, bringing the total proposed ad buy to $3.3 million, with an "8% value-added" $264,000 in free promotion.